Souleymane Coulibaly on the ball for Posh at Burton Albion in August. Peterborough United’s Sky Bet League One fixture at home to Burton Albion has been re-arranged for Tuesday January 26 (7.45pm kick-off). 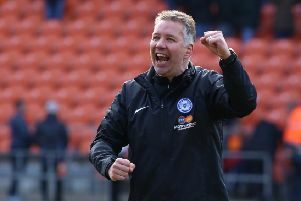 This game was due to take place on the weekend of the FA Cup third round, but Posh are in action against Preston North End on that date.